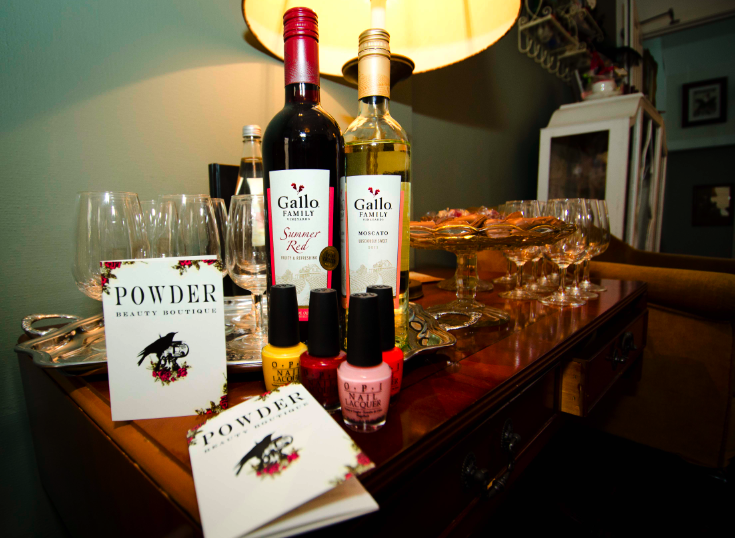 Here are the photos from Powder’s Gallo Wine evening a couple of weeks ago. Lots of customers came along for a evening of pampering- including nails, facials, spray tans and more all at discounted prices. Visitors were also treated to a glass of Gallo Wine while their treatment took place. 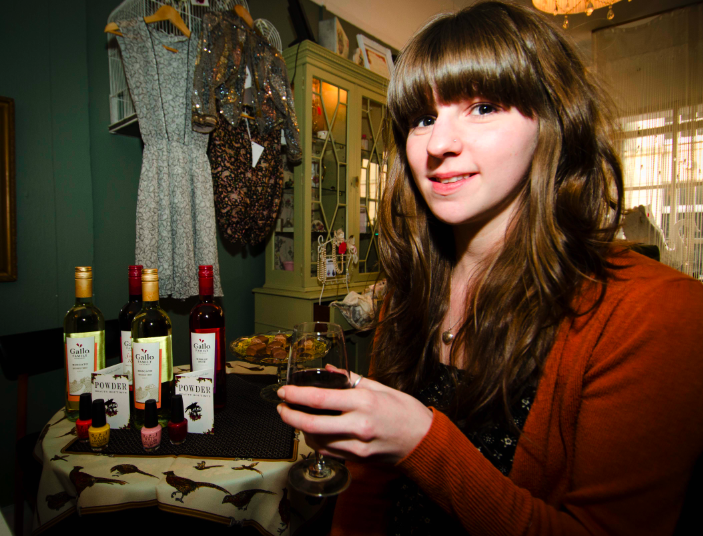 Visitors enjoyed their discounted treatments in the salons vintage surroundings. Special goody bags were also available for the evening, and many visitors browsed the salons vintage clothing, jewellery and accessories for sale- many of which handmade by local designers. The event was also featured in The Argus, Brighton’s biggest newspaper. 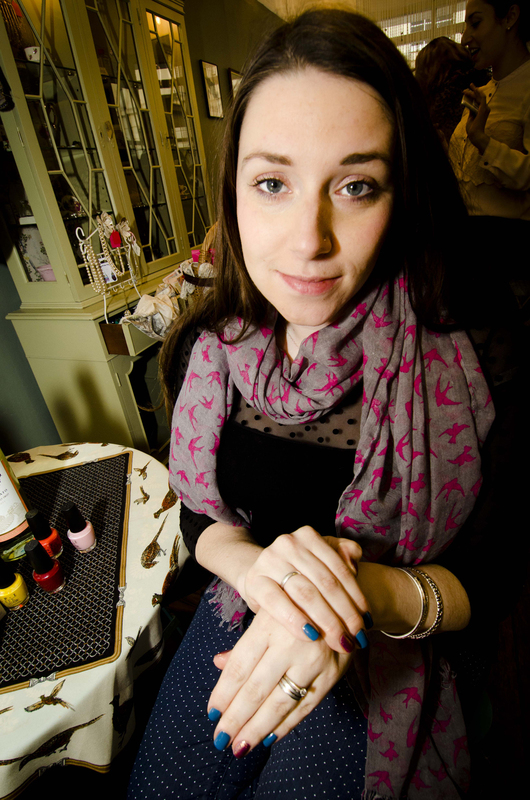 Lauren of Belle Du Brighton blog visited the event and enjoyed an OPI manicure. She did this great blog post about about the event which you can read here. Powder looks forward to its next event which is My Vintage Portrait- find out more here.